Metrobank Foundation, Inc. (MBFI), together with the Mathematics Teachers Association of the Philippines (MTAP) and the Department of Education (DepEd), concluded this year’s Metrobank-MTAP-DepEd Math Challenge (MMC) elimination round wherein more than 400,000 students competed on January 17 and 18 across 1,700 testing centers nationwide. On MMC’s 18th year, a total of 27,089 public and private schools from 217 Division Offices registered online. Aimed at streamlining the registration process and be made accessible to all schools nationwide, the online registration was first piloted two (2) years ago in NCR. 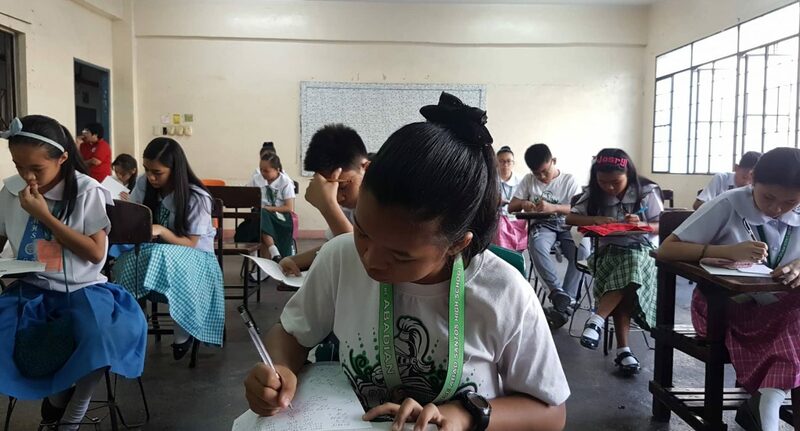 The 2019 cycle officially launched last October through an online game called “10-10 De Sarapen” where mathletes solved mathematical equations and problems within a 10 day period. Winners were chosen randomly and received special items from CASIO Calculators Philippines. MMC is an annual math competition that aims to awaken greater interest in math among elementary and high school students nationwide and to discover mathematical talents among the youth. For inquires, visit the official Facebook page of MMC or contact the DepEd Division Math Supervisor in your locality. Contact the MMC secretariat at secretariat.mathchallenge@gmail.com or (02)857-0618/ (02)898-8898.